. Published on Tuesday, March 21, 2017 . The lights dimmed inside the BSC, Ursa Major (Bldg. 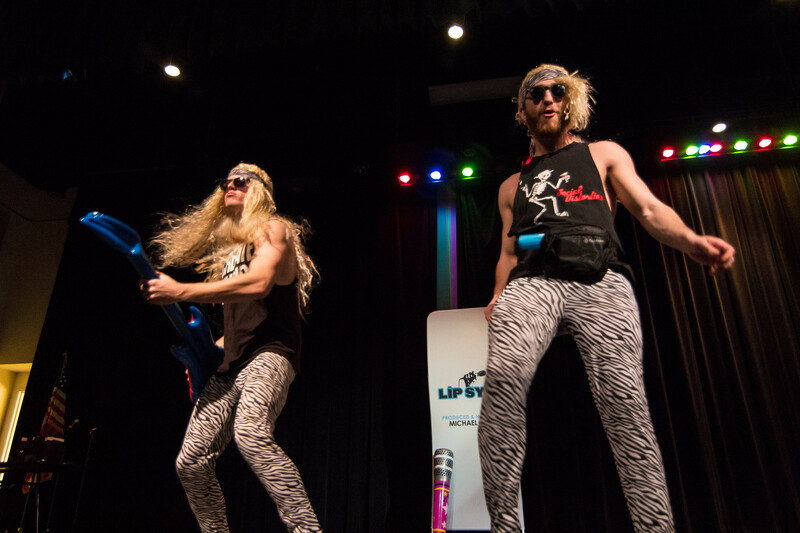 35-2611) as students took the stage one by one to compete in the ultimate lip sync battle on campus, The Lip Sync. 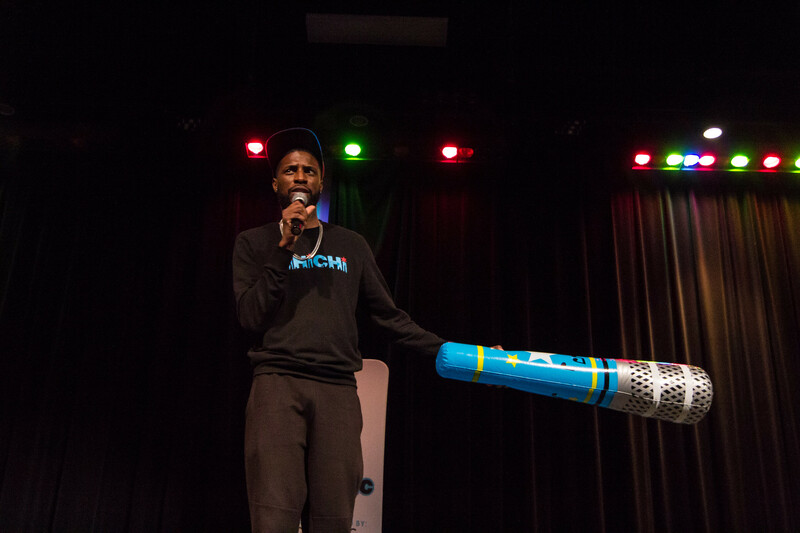 Hosted by ASI Student Activities and Programs (SAP) and comedian Michael Issac, The Lip Sync took place on February 17. 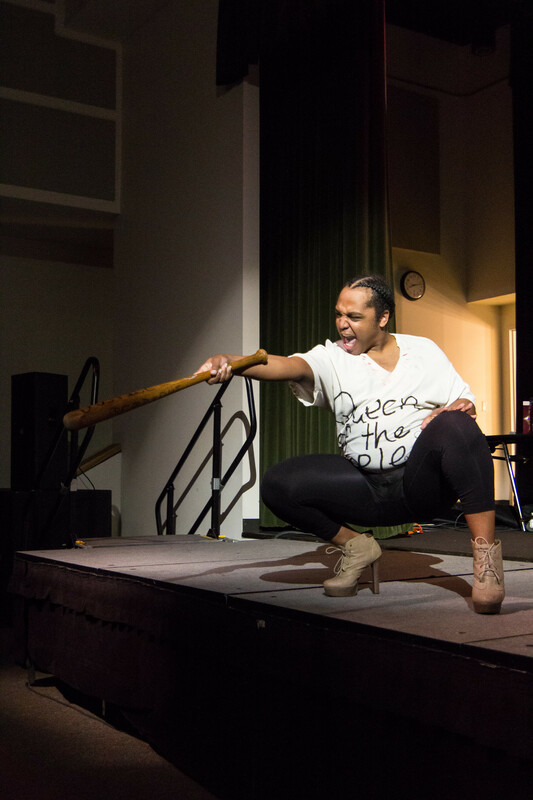 Students were invited to participate in teams, or go solo, and battle it out on stage for the title of Lip Sync champion. 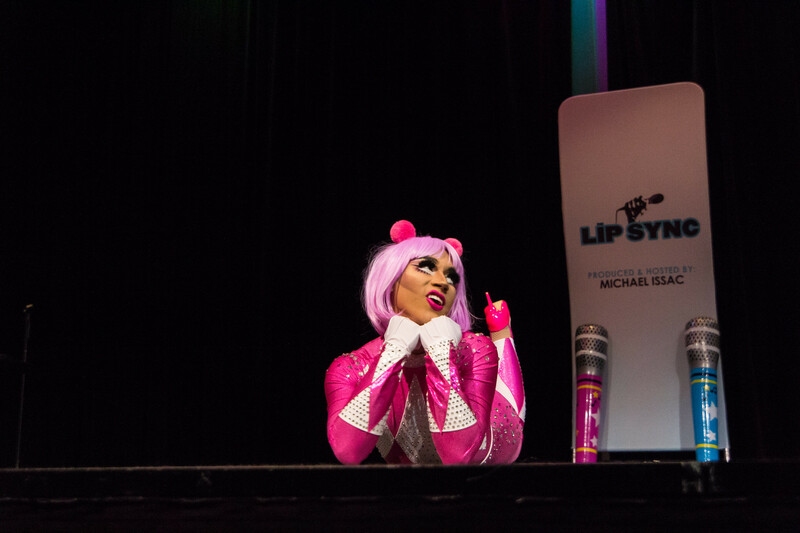 “I met [host] Michael Issac at NACA (National Association for Campus Events) and he showed me clips of The Lip Sync which has been a big deal on TV, so I thought it would be cool to bring it to Cal Poly Pomona,” said Student Activities and Programs Assistant Debby Chen. Four participants braved the stage for the chance to win first place. Each participant got the chance to go all out with props and dance routines with their performance. After each round, students used a voting app to choose who would advance to the next level. Performers who didn’t make it to the next round were given the chance to do a farewell performance. Whether students were there to support their friends on stage or stopped by for the live performances, the audience was loving it! “I really liked [performer] Blasia, just because I’ve always liked the drag queen culture. The fact that she came out and did that was really cool,” said graphic design student Valerie Mancilla Soriano. Performances included lip sync covers of pop songs by Nicki Minaj, Madonna and Beyoncé. The Double D’s, a duo performance by CPP students Dimitri Koutroulis and Dillon Thomison, came in second with a $200 value prize, followed by Blasia who won a $100 value prize. “This has never really happened at [CPP] before so it was very different. Having Michael Issac as an emcee also got people excited, it turned out really well,” Chen said. For more updates on events like The Lip Sync, follow Associated Students Inc. (ASI) on Facebook, Twitter, Instagram and Snapchat @ASICPP!